I ran into a really neat feature in Internet Explorer 8 today which makes lousy Flash Ad supported sites incredibly bearable. That is specially helpful for those who are on low power computers like Netbooks, where loosely programmed Flash ads can really become resource hogs. The trick? Internet Explorerâ€™s built in ActiveX control manager. All you have to do is open up the add-on manger from the tools menu and select All Add-ons from the drop down menu at left side of the Manager Dialog. Select toolbar and extensions from the left hand pane, and look for the Shockwave Flash Object in the list and double click it. 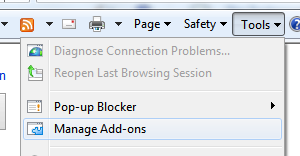 From the More Information dialog, click on the Remove All Sites button to revoke access to the player. Close all the open dialogs. From now onwards, when ever you land on site with an embedded Flash movie (or add), youâ€™d see a yellow notification bar asking you if you want to run the player. Though it would block all the flash content, Iâ€™d say it is a worthwhile trade off on lower end machines, and you donâ€™t have to install any plugin for that either. P.S. 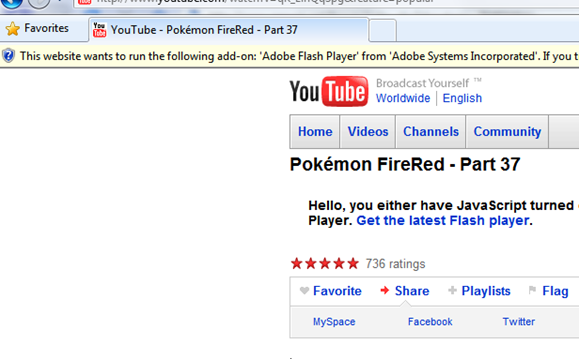 Don’t that FireRed walk through video didn’t actually mean anything. I had beaten the game years ago. thanks. those flashing ads were making me crazy. You can do it on IE7 too. didn’t work. I even removed shockwave. I am using IE8..
how about turning off those ads that automatically download and play a youtube video. I’m talking about when i visit a site and i start hearing music, i search for an ad that is actually playing a video and i have to right click and select stop downloading to get it to stop. I don’t want to block flash all together though because i’m typically looking for videos. Its just the stupid small ads that are a square inch hidden somewhere on the page that i have to find and stop before i can even look at the rest of the page. I’ve been hoping to find a way to stop this constant anoyance! I just set it as you described: if it works out -You’ll be like a hero. In any case -thanks for taking the time to provide the advice. 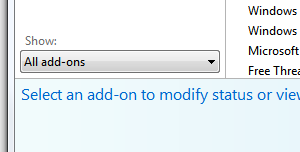 does not work on my windows 7 system with exporer 8d: when I tell exporer to remove all sites, explorer indicates an error situation and does NOTHING. Kaspersky 2011 has a simple box that you tick… job done! Ran 34 queries in 0.183 seconds.